How You Can Keep Your Family Safe From The Dangers Of Aluminum Wiring Without Ripping Out Your Walls… I’ll also show you how to repair it without spending a truckload of cash doing it. When you have no power, or you see sparking from an outlet there is a way to solve that by calling our after hours electrician Melbourne. 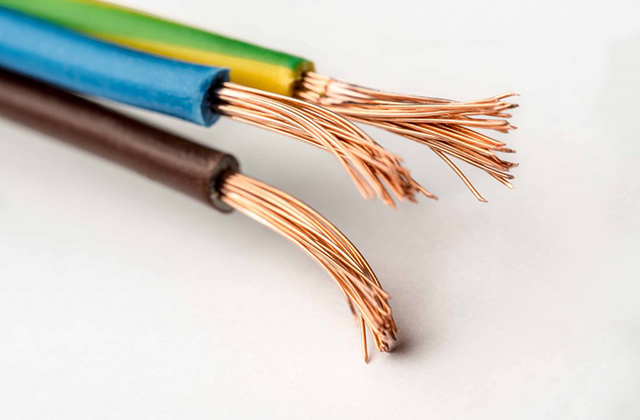 If your home was built during the late sixties to the mid seventies, there is a good chance that aluminum wiring was used instead of copper for its electrical circuits. Aluminum was used because there was a shortage of copper due to the Vietnam War. However, over time, trouble emerged – namely… homes were burning down with the aluminum connections to devices – outlets and switches – as the cause. As a matter of fact, research conducted by Franklin Research Institute for Consumer Product Safety Commission (CPSC) revealed that homes built with aluminum wiring are 55 times more likely to catch fire than homes wired with copper. There is nothing wrong with the aluminum itself. It is an excellent conductor and less costly than copper. The problems arise because aluminum expands and contracts far faster than copper when used. This can cause a loose connection, creating gaps that can cause sparking and fire. Compounding the problem further is the fact that aluminum almost immediately starts to oxidize the minute it is exposed to the oxygen in our air. This reaction forms an oxide coating on the wire much like rust forms on iron. This oxide reduces the ability for the wire to conduct electricity resulting in even more heat. Eventually, it can become hot enough to melt or burn fixtures – such as wall outlets and switches – where the exposed aluminum is in contact with the brass connections. So the problem is the exposed aluminum around the connections – and the connections themselves. When deemed to be unsafe in 1974, aluminum wiring was all but discontinued in home applications. Unfortunately, it was too late for the homes already installed with it. If your home is fitted with aluminum wiring, you can be facing other problems aside from the obvious danger of fire. Some insurance companies will not insure homes with aluminum wiring unless it is updated to present day electrical code. This can cause untimely and unwelcome financial obligations if you were trying to sell your home or get your renovations passed by a government inspector. Furthermore, if your insurance company discovers that a fire in your home was caused by aluminum wiring connections, they may reject your claim for financial compensation. Now there are several solutions to this bad situation, but the first thing you have to do is determine if you have aluminum wiring to begin with. You can get an electrical contractor overseen by a master electrician to take a look at it for you. But the easiest way to do this is to look at the printed or embossed markings on the outer jacket of the electric wiring, which are visible in unfinished walls or ceilings in basements, attics, or garages. Cable with aluminum conductors will have “Al” or “Aluminum” and other information marked on one side of the cable jacket every few feet along its length. If for whatever reason, you cannot see any wiring, then there is another, albeit a little more involved way of checking. Step 1 – plug a hair dryer or light into any wall outlet, turn it on and leave it on. Step 2 – go to your circuit panel and trip (turn off) the circuit breaker corresponding to that outlet. You’ll know you have the right breaker when your hair dryer or light is off when you check back on it. Step 3 – unplug the device and remove the outlet from the wall and check the wiring attached to it. DO NOT DETACH THE WIRING. You can make the connection worse if you do. You should be able to see the bare wire beneath the screws. It is easy to recognize aluminum because of its colour. If you an orange color, this is copper. However, if the exposed wire beneath the screws is white, it is aluminum. Got it? So if you have aluminum wires – now what? At this time, although you may be tempted, I must emphasize not to try to determine if your wiring is failing! Repeat… DO NOT TRY TO DO THIS YOURSELF. You could be electrocuted – or you could make the problem worse. Unfortunately, failing aluminum-wired connections seldom give easily detected warning signs. Aluminum-wired connections and splices have been reported to fail and overheat without any prior indications or problems. However some signs may make themselves evident. Signs of electrical system problems include hot-to-the touch face plates on receptacles or switches; flickering lights; circuits that don’t work; the smell of burning plastic at outlets or switches; or unusual static on radio or television. However, if you notice any signs of a problem, have a qualified master electrician determine the cause. Upon our investigation, there appears to be a considerable amount of confusion about how to best correct the problem. There are several right and wrong solutions offered by both electricians and government alike for a permanent repair of the hazardous aluminum connections. I’ll cover the right ways shortly, but the wrong ways first. There are several other common, yet dangerous solutions promoted by naive electricians and even governments themselves: One of them is to use so-called aluminum friendly devices such as wall outlets and light switches. However, according to extensive lab testing reviewed by the CPSC, it is determined that these devices fail on a regular basis under normal stress. Don’t use them. Another method is to crimp the aluminum to the copper in pigtailing with regular crimpers and connectors. These tools are readily available at hardware stores and are to be avoided. The last and very popular method promoted by electricians is to twist the wires together with a twist connector and anti-oxidant cream. However, in CPSC-sponsored laboratory testing and in-the-field life tests, a substantial number of these connectors overheated severely. Be especially wary of an electrician promoting this type of fix, not because he is an evil-minded fellow, but because he is unaware of these tests and blindly believes the government knew what they are doing when they approved them. They were approved back in 1980 and are still officially approved in both Canada and the US. Don’t allow them to be used in your home. Now… the right ways to correct this problem. Independent tests accepted by the US Consumer Product Safety Commission report there are only two that are safe… The first is to outright replace the aluminum wiring with copper wiring. However, this is not a simple fix and can run you thousands – if not tens of thousands of dollars. In most cases, it is unnecessary and will make your home look like war zone while it is being completed over a period of weeks. Electricians promoting a complete replacement of the wiring are, quite frankly, trying to land themselves a nice juicy job at your expense. This is not the type of electrician you want. Although it seems like the safest solution, the remaining solution is just as effective, long-lasting and far more economical. This method is to connect the aluminum wiring to a short piece of copper wire, which is then connected to the existing fixtures. Called ‘pigtailing’, this method is very safe when done with the right connectors. There are electricians out there that are saying this is unsafe – but it is the only safe way – aside from replacing the aluminum with copper! However – DO NOT ATTEMPT THIS REPAIR YOURSELF. Because of the nature of aluminum and incorrectly installed connectors, the connections can be just as bad as the originals – or even worse! Don’t do it! Having said that, let’s move along. There are only two acceptable connectors for the job of joining the aluminum and copper wires together. The trademark names of these connectors are Copalum and AlumiConn. The Copalum connector requires a crimping tool that can only be operated by an electrician who is certified to use it. The AlumiConn connector requires an experienced electrician with skill, attention and a special ‘touch’ to ensure its effectiveness and safety. Once installed, the new connections will be as safe and enduring as completely replacing the aluminum circuits with copper. One final safety measure you can take to ensure the safety of your electrical circuits is to install Arc Fault Circuit Interrupters. Although not necessary in the repair of the aluminum wire connections, these devices are overall protection for your entire electrical circuitry. They shutdown and protect a circuit in the blink of an eye if the slightest spark occurs anywhere, thereby virtually eliminating the chance for fire to occur. In new construction, they are law and are used with copper circuitry as well. Even if you were not to install them with your aluminum connections update, at some time, it would be best to install in your home. Check the electrical contractors in your area for an educated and experienced Master Electrician. They can put your mind at ease by making the proper corrections for you. Aluminum wiring need not be of undue concern as long as you have it properly inspected and repaired. Gerard Sutton writes for http://AluminumWiringRepair.com to provide information to homeowners seeking help with their home electrical projects. Whether repairing or building anew, hiring and electrician or doing it yourself, this website is a great resource for your electrical needs.